Provide comfort for the family of Donna Lavoie with a meaningful gesture of sympathy. Donna Marie Lavoie, 58 of Nashua, NH passed away unexpectedly at home Saturday, February 23rd, 2019. Donna was born in Lowell, MA to Mary Ell Lucas of Rock, SC and Lawson Luther Lucas of Shelby, NC both deceased. She moved to Nashua, NH after meeting and marrying the love of her life, David Lavoie. Donna and Dave lived in Nashua where they raised 3 beautiful daughters. Donna was an outgoing person who lived for family and friends. Donna and Dave’s house was the place to come to swim and barbecue. They were very welcoming and opened their doors to family friends and extended family. Donna was always the life of the party while her love, Dave manned the grill. Donna’s fried chicken and macaroni and cheese was the highlight of the party. Donna was always uplifting to be around. Flashing her dimpled smile, you couldn’t help but to smile with her. When she laughed it made you laugh no matter your mood, Donna’s outgoing personality was infectious, and her energy was contagious to be around. She created a haven of love, becoming a surrogate Mom to many who needed unconditional love, a place to stay or merely a hug and a smile to make their world a little better, but the role she loved most was Grandma! Besides her husband David Lavoie, Donna leaves behind, 3 beautiful daughters, Shanin Lavoie, Monique Lavoie and Felicia Lavoie all of Nashua, NH. 7 brothers, Harold Lucas, Luther Lucas, James Lucas and Vincent Lucas all of Lowell, MA, Brian Glenn and wife Michele of Dracut, MA, Curtis Glenn and wife Jessica of Nashua, NH and Calvin Glenn of Nashua, NH, 3 sisters; Lisa Lucas of Lowell, MA, Carol Rosatano and husband Chris of Londonderry, NH and Kim Barnes and Husband Robert of Charlotte, NC. She also leaves her sister-in-law Ann Leveseque and brother-in-law Norman Leveseque and wife Rosa of Nashua, NH, 3 grandchildren; Aiden Kaley, Xavian Rosa and Jeremiah Rosa all of Nashua, NH. Donna was predeceased by her brother Donald Glenn and her sister Belinda Clemons. SERVICES: Visiting hours 4-6 PM on Thursday, Feb 28, 2019 at the New England Pentecostal Church, 955 Bridge St., Pelham, NH 03076. A service will begin around 6 pm. Relatives and friends are respectfully invited to attend. A graveside service will be held at Edgewood Cemetery on Friday morning at 10:00 AM. The Davis Funeral Home, 1 Lock St., Nashua, NH 03064 is in charge of arrangements. (603) 883-3401. “ONE MEMORY LIGHTS ANOTHER”. Donna will be missed by many who called her sister, cousin, aunt and friend!!! 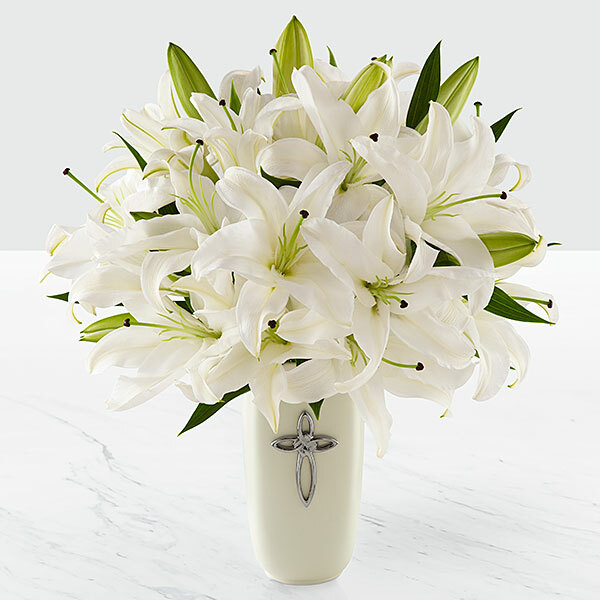 To send flowers in memory of Donna Marie Lavoie, please visit our Heartfelt Sympathies Store. City of Charlotte - Community Engagement Family, Trisha Dunne, and others have sent flowers to the family of Donna Marie Lavoie. City of Charlotte - Community Engagement Family purchased flowers for the family of Donna Lavoie. My condolences to the family and friends on your loss. The pain for the survivors carries on for some time. There is some good comfort from the Holy Scriptures. The account about our Lord Jesus at John chapter 11 can be a great source of comfort. There he gives us hope to see our dear loved ones again in better times ahead. Once again my prayers are with you all. Trisha Dunne purchased flowers for the family of Donna Lavoie.